Sac Bee: Even as the Boy Scouts of America moves to allow gay youths to join its troops, the California Senate on Wednesday passed a bill that would revoke the organization’s nonprofit status because it does not permit the participation of openly gay adults. While the text of the bill does not specifically mention the Boy Scouts, analyses of the legislation and discussion among senators Wednesday made clear that it targets the organization. “We’ve given the Boy Scouts ample time to solve their discrimination problem. And they’ve chosen a path that still leads to discrimination,” Lara said of the organization’s recent vote to allow participation by gay youths. The bill passed the state Senate 27-9, receiving the bare minimum of votes required. It needed two-thirds support because it changes California’s tax code. Three senators did not vote: Democrat Rod Wright and Republicans Anthony Cannella and Bill Emmerson. The bill now advances to the Assembly. These Commies in charge will never be satisfied. 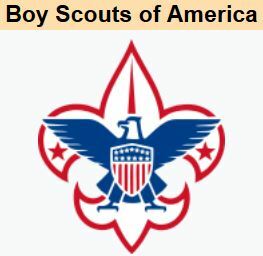 They are punishing an organization simply because the Boy Scouts don’t fully endorse their lifestyle. Next thing you know is the state will be going after churches, no doubt.